Programming your DCC machines, from within your CAD system has never been easier. Create, edit, simulate and output your programs directly from your CAD model. Extend their life through model substitution. Take a tour now (Flash plugin required). Eliminate data translation. Improve accuracy. Stop wasting time moving data between systems. The Sitius Advantage. 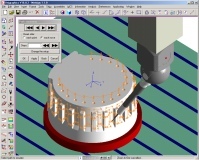 Take a look at the benefits provided by the superior integration between CMM inspection and CAD. 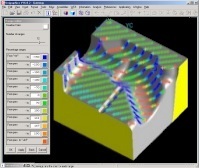 Our Part Verification software is fully integrated in commercial grade CAD systems and provides support for a wide range of manual and DCC Dimensional Equipment, unbeatable versatility and performance.